Can You Junk a Boat in St Petersburg FL? 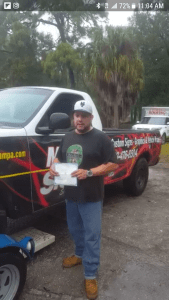 GET CASH FOR YOUR JUNK CAR IN ST PETERSBURG FLORIDA TODAY! Welcome to Cash for Junk Cars St. Petersburg, Florida! 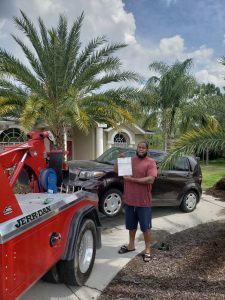 We are a Florida Junk Car Buyer who wants to help people searching “junk my car St. Petersburg, FL” get cash on the spot for their old or unwanted vehicles. We offer cash for cars, cash for boats, cash for trucks, cash for motorcycles and even cash for boats and recreational vehicles. We know what a hassle it can be to get a solid quote when you want to get cash for your junk car. Cash for Junk Cars St. Petersburg, Fl makes it as simple as sending a text with a photo or information about the type of vehicle, boat or motorcycle you want to get cash for. Of course, if you are unable to text, feel free to call us at the number below. We’re here to help you scrap your car, to rid you of an old hooptie, junker or clunker or to offer you cash for a car you simply do not have use for. Cash for Junk Cars St. Petersburg, FL is a professional Pinellas County and Tampa Bay auto salvage company. Friendly and helpful, honest and prompt, we make selling your junk car a pleasant experience while putting cash in your pocket. If you accept our offer, we will schedule a time to come and remove the vehicle, and will pay you cash on the spot. WE DO NOT CHARGE FOR TOWING AND OUR PRICE FOR YOUR JUNK CAR INCLUDES TOWING. We’re a professional Pinellas County Florida junk car buyer. We pay cash for cars in St. Petersburg Florida and recycle automobiles and boats throughout Tampa Bay and Florida. When you need to scrap a car or recycle a junk truck, boat or other vehicle, just text us. We will give you the best cash price for your junk cars and you no longer have to worry about the junk in your yard, garage or boat slip. If you’re tired of paying to insure an old car, junk it with Cash for Junk Cars St. Petersburg, FL. In Florida you must insure any vehicle that is operable or you must turn in your tag. Many people waste far too much money hanging on to cars that they don’t use. 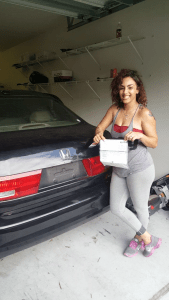 Whatever reason you may have to want to junk your car in St. Petersburg, Cash for Junk Cars St. Petersburg FL is here to pay you cash on the spot!